One of the necessary tools a night (or landscape) photographer must have in their tool bag is a decent weather forecasting tool. 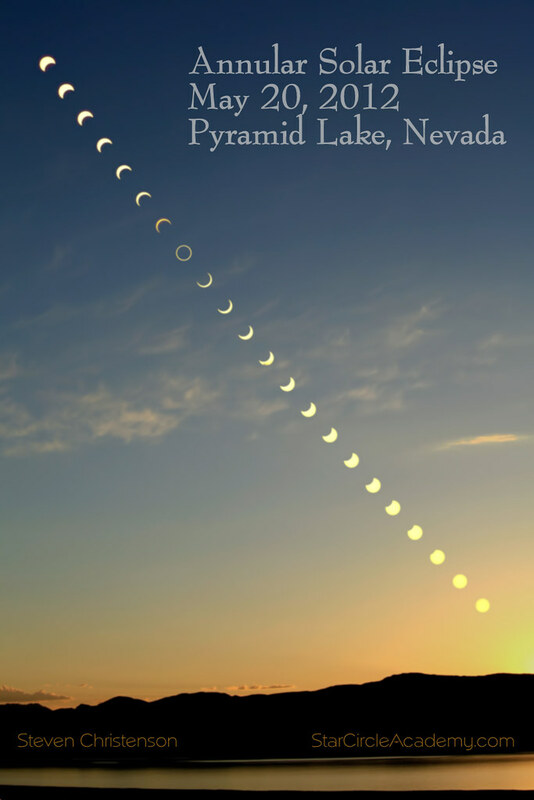 Though I’ve been known to ignore the forecast for some events, like an Annular Solar Eclipse, I definitely am more inclined to go where the weather is clearer (Nevada) than where it will be cloudy (Crescent City, CA). 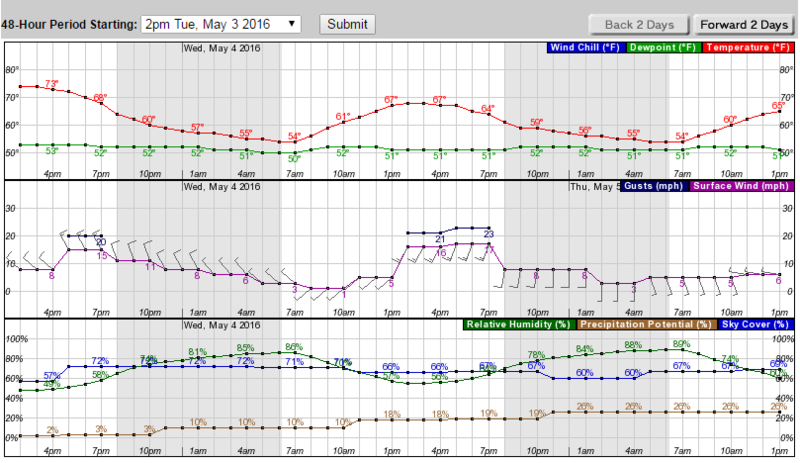 This is the hourly forecast. The “daily forecast” is less helpful. How partly is partly cloudy? And how mostly is mostly cloudly? Other sites sometimes just say “sunny” during the day and give no idea what night will be like. Compare the above with the Weather.gov forecast from NOAA. Fortunately the US National Weather Service provides a nicely detailed “click point” forecast with charts of the hour-by-hour conditions. There is quite a lot to take in here but it’s all good stuff. 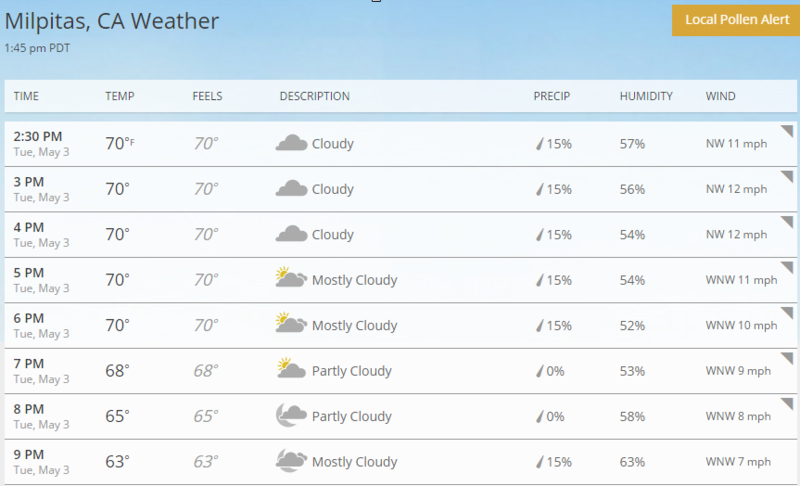 The “partly cloudy” at 7PM shows as 72% cloudy (Sky Cover) on weather.gov. Not only are the forecasts different, but I get more useful numbers. It looks like the wind will be very gusty during parts of the day. But the humidity won’t be so severe that dew will form. If it weren’t for the mostly cloudy skies, night photography might work out ok.
Once you get to the forecast, look for a small graphic on the right under “Additional Resources”. But that, my friend, is where the good stuff is. Before you rush off on the hourly thing, though, take a look at the little map window. 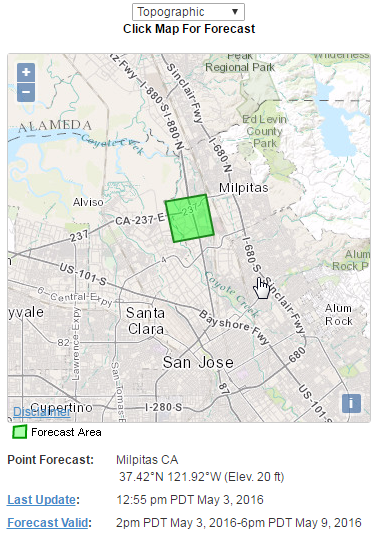 Weather.gov forecast area highlighed in green. You can get a forecast for any specific area by clicking on the map! So, for example clicking on the summit of Mission Peak (just off the screen to the north) may give you a significantly different forecast – one that is adjusted for the difference caused by altitude. Do remember that these are “forecasts” not actualities, so be prepared for whatever may happen. I used to use Weather Underground. Then they changed it so that the good stuff was only in “Classic”. But really, no need to use it at all any more. May the wind not be at your back or in your face, may the road not be muddied by rain and may the clouds gather only when you really want them i.e. at sunrise and sunset. This entry was posted in Astronomical Event, Maps, Review, Tools, Travel, Weather and tagged forecast, graphical, hourly, NOAA, NWS, weather, weather.com, weather.gov, wunderground, wunderground.com on May 18, 2012 by Steven Christenson. I’ll have to look into My Cast a bit. However I needed forecasts that were accurate as far in advance as possible since driving hundreds of miles in the wrong direction would have been frustrating (to say it mildly). Oops. Couldn’t be the Bay Area. Missed the annular shot in there at first glance. You were in the path. Yep, I was in the zone of maximum annularity. There is an unofficial NOAA app for Android phones which I use very frequently. The Sky cover is a bit strange forecast since it does not seems to predict clouds per se but it may have included transparency forecast (water vapor in the air). Or it is just wrong most of the time. Because a few times it predicted sky cover where I had blue/clear sky bad some haze. For the location where I went for the eclipse it predicted 22% cloud cover but I had none and it was not that hazy. Also keep in mind the cover/rain forecast usually means how many percent of the forecast area (even you select a certain point the forecast is for an area of 10squaremiles or more) receive cover/rain. Even with this very nice detailed forecast from NOAA/NWS it is still a prediction and not 100% certain but nevertheless a very good guess. In addition you can also use weather radars and forecast from clear dark sky charts. Thought I’d drop you a little note to let you know that I just finished shovelling 3 feet of ‘partly cloudy’ from my drive way“. There are only two sure things in life: death and taxes. But at least death doesn’t get worse when congress meets.